The other key to success for any busy crafter has got to be a couple of appealing but practical gifts that can be whipped up on short notice. 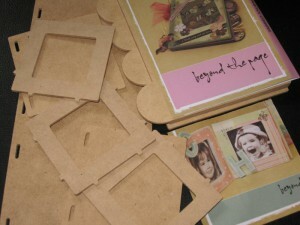 Kaiser Craft has become one of my favourites for their ‘beyond the page’ range of wooden products perfect for altering. Their Christmas Trees and Word Albums caught everyone’s eye over the last few months but there is much more to the range. This is a sneak peek for class project that we will be teaching soon that shows altered does not always have to be time consuming. 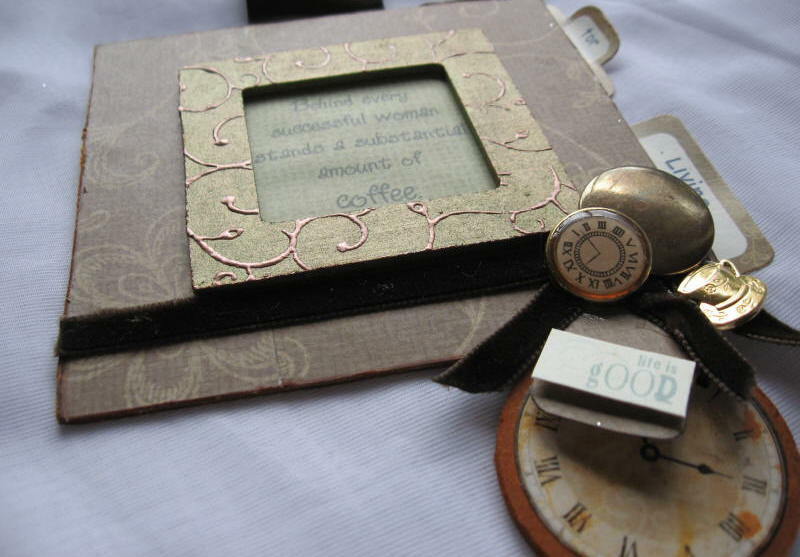 It can act as a gift card holder with a bit more to offer and one of my favourites to make for friends. What about you, what secrets to speedy success do you rely on? People often ask how I pull collages together. For me the rule of 3’s works easily and painlessly. For the most part it is only one or two colors in use in my assemblage and a very simple theme, in this case coffee time! Anything more than 3 it starts to get cluttered, the message is muddled and who has time for that? As much as the tiny red coffee cups were totally cute, the rule of 3 forced them back onto the shelf for another day. Possibly the new journal that is on the table and getting ready to share soon. That is my problem I am not disciplined to the rule of three, I am always juggling and assembling way to much in my life he he! Very pretty stuff! I am sorry that you will not be able to join the swap!!! I hope that you have a fun and safe trip!! !<BR/>"see" you soon! This is just lovely! I too love the KaiserCraft range of products – it’s becoming quite extensive isn’t it?